Bigsby just wants to be left alone. But why? And will the forest creatures listen? Leave Me Alone is the heartfelt story of Bigsby, a shy snowman with a big heart who wants more than anything to stop being so lonely. But for a snowman in a field, making friends is a bit harder than you might think. Follow along as children and animals visit Bigsby and learn the best way to become friends. With beautiful illustrations and touching lessons on friendship, this inspirational tale gives gentle guidance on both how to make a true friend and how to be a good friend. 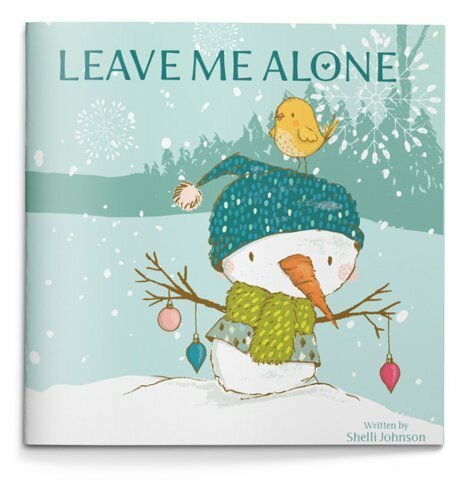 Leave Me Alone is a beginning reader picture book perfect for children in kindergarten through second grade and ages 4-8.